The Fellowship was fortunate enough to obtain a copy of REGRESSION #1 from Image Comics. Cullen Bunn writes, Danny Luckert draws, and Marie Enger colors and letters. Adrian is a pretty normal guy, except that he has these dreams. Well, not dreams, really, because he has them when he’s awake too. He’s tried everything he can think of, but nothing’s working. A friend suggests hypnotherapy, and Adrian decides he has nothing to lose. The hypnotist figures out that there’s something there, but no one is prepared for what comes next. This book is a slow, steady build in the same way that a truly good horror film builds up in your mind. And if the last page doesn’t hook you, I don’t know what’s wrong with you. I think this team has a hit on their hands with this one. 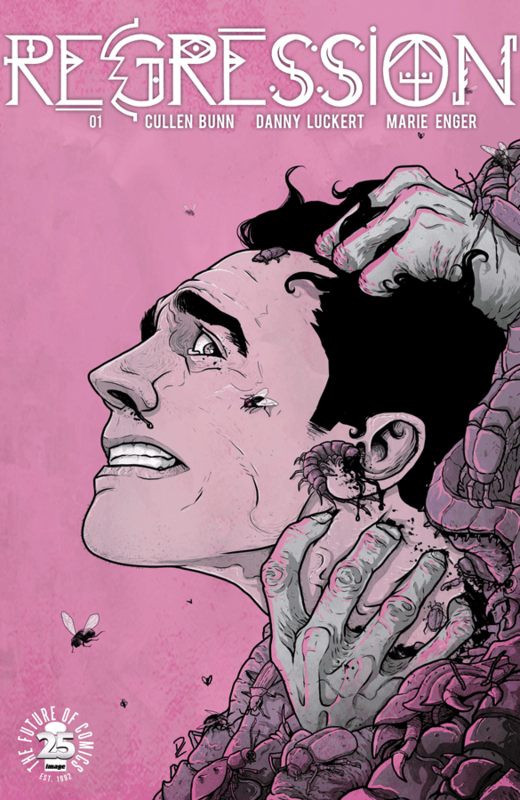 REGRESSION #1 is available now from your local comic shop, or online at imagecomics.com.